Our going away party was last weekend. 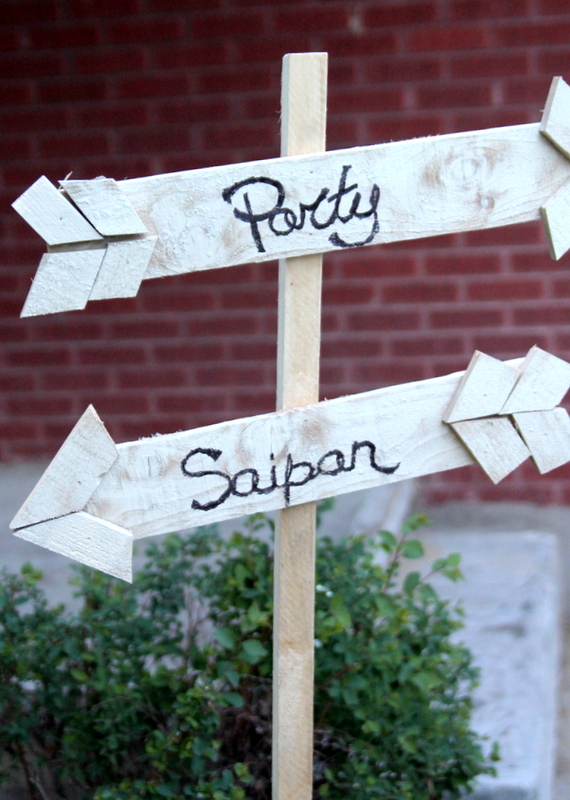 Of course, I can’t take credit for any of the fabulous ideas, but our friends put together such a gorgeous, thoughtful, party that I thought it’d be a waste not to share some pictures with y’all. 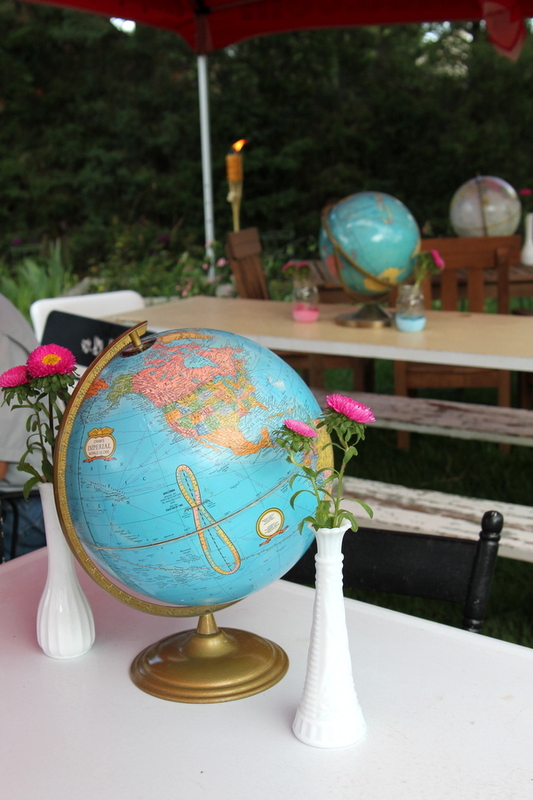 There were globes everywhere- dotting the tables, next to the dessert buffet, tucked in between the treats, lining the steps. 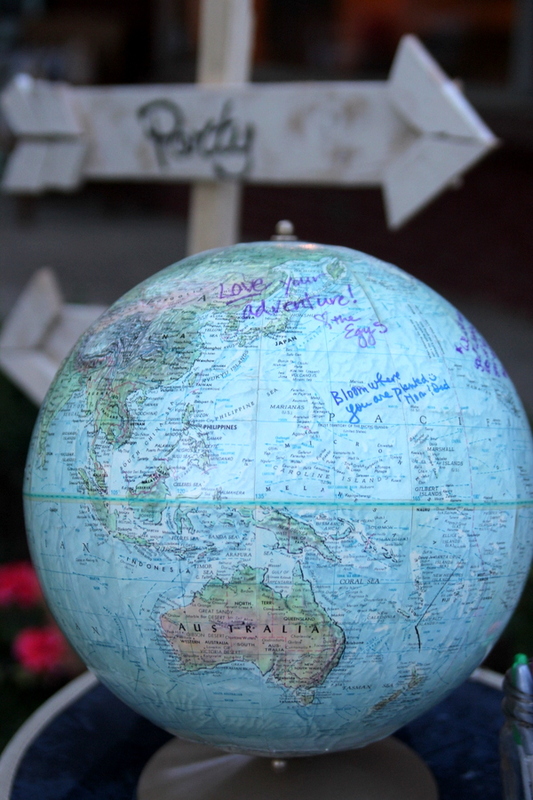 There was even a globe ‘guest book’ that our friends signed with sweet messages of encouragement and farewell (side note- if I were getting married, I would TOTALLY use a globe as a guest book- so fabulous!). …or maybe my favorite was the abundance of fresh flowers? Or the globes? Did I mention those? 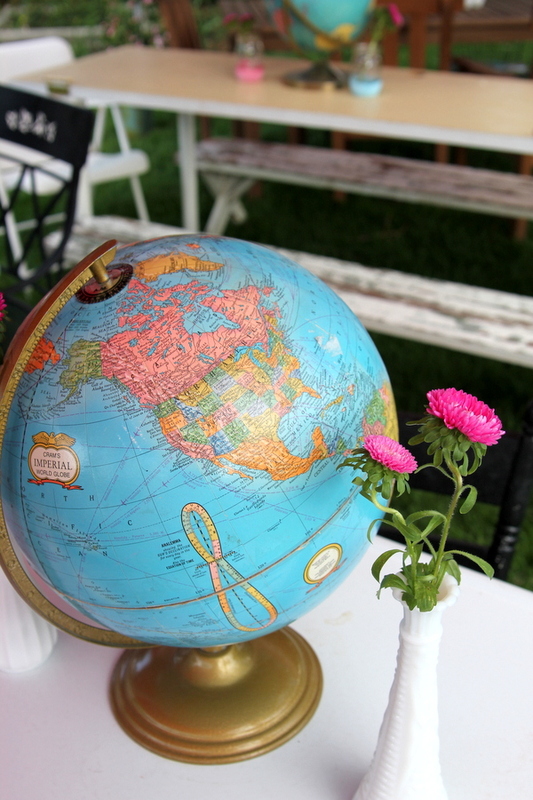 …and the most gorgeous table settings including, you guessed it, more globes and fresh flowers. 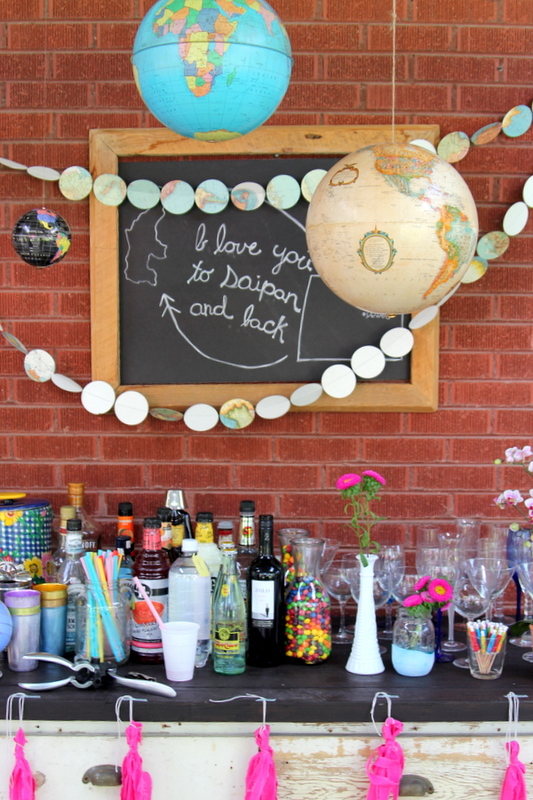 Hands down, my favorite part of the party was the mix of guests- people we love from all of the different parts of our life. There were friends from before we had kids, friends from dental school, family, friends from my childhood, and tons of friends from church. It feels like so much life has happened over these last six years, and these people have been so faithful to walk beside us through all of it. And, really, it means so much to us that they are sending us off so well! Though, it doesn’t make it easy to leave. 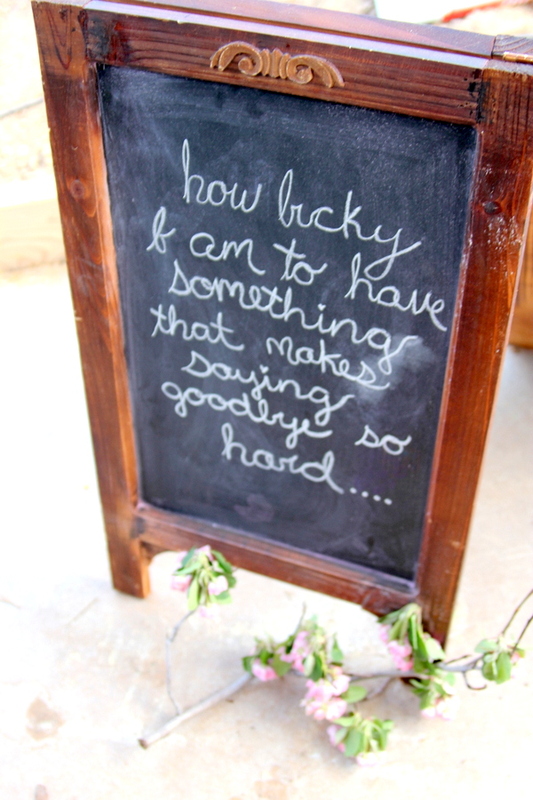 One of the chalkboard signs said, “How lucky I am to have something that makes saying goodbye so hard.” Yep. That pretty much sums up the current state of my heart. 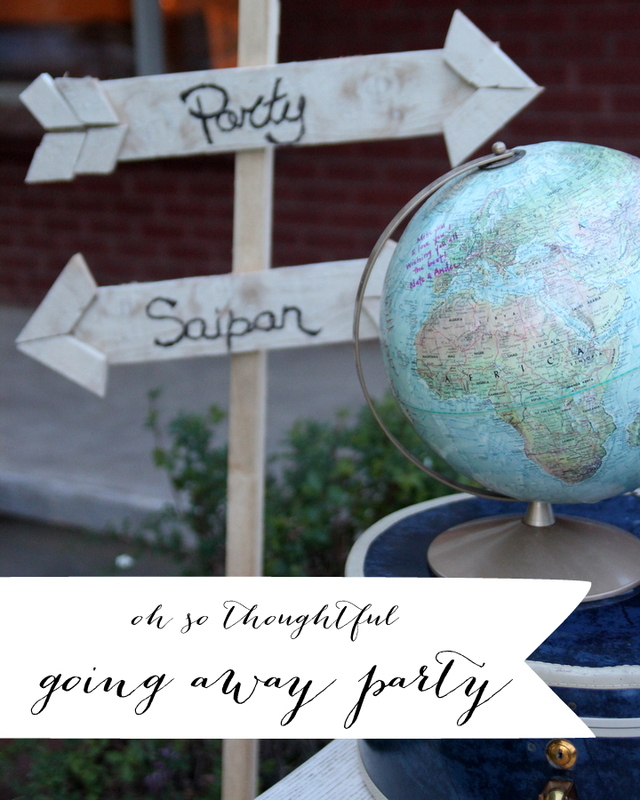 Note to any one putting together a going away party in the near future- copy these ideas! Beautiful party! 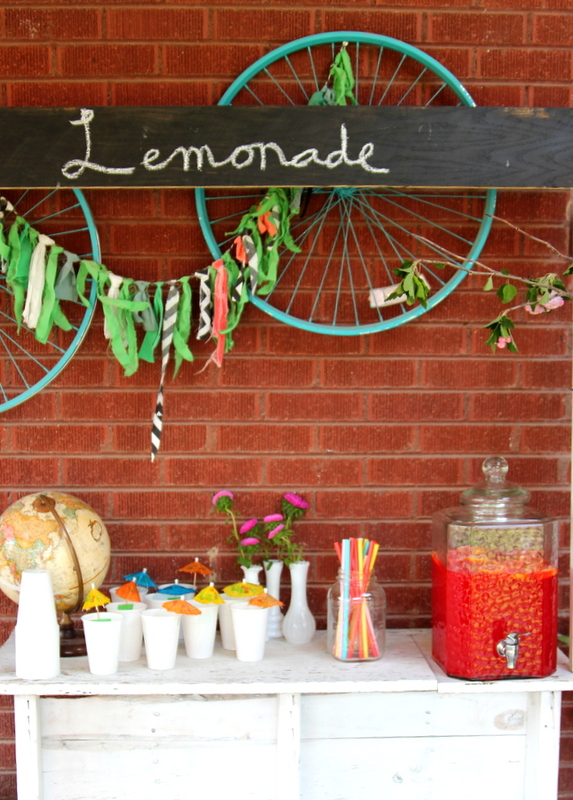 I think it’s wonderful that the person who is always throwing the most amazing parties for everyone else had one thrown for her. You deserved it, Kirstin! What a sweet comment Nicole. And didn’t they do SUCH a great job??? What a grand send off! Excited to see the next chapter for you, but I understand leaving must be hard…hugs friend. What a sweet party! 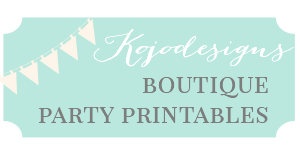 And how great that they showed how well they know and love you by throwing a kojo worthy party with all the details you love! Oh no, Kirstin. Looking at these pictures is now making me cry 🙁 Gosh we are going to miss you! Ugh. Thanks Dara- we will miss you guys like crazy! Jennifer, what a sweet comment and reminder. Thanks for the encouragement sweet friend! The next chapter is going to rock! And the best part is you have friends waiting for you over here…even though you don’t know us as well, we are going to have a blast! We have moved so many times, had good friends move away, and good-bye never gets easier. The mangos, avocados, fresh plumeria, and ocean are waiting for you!!! Nadia, what a sweet note! Can’t wait to meet y’all! 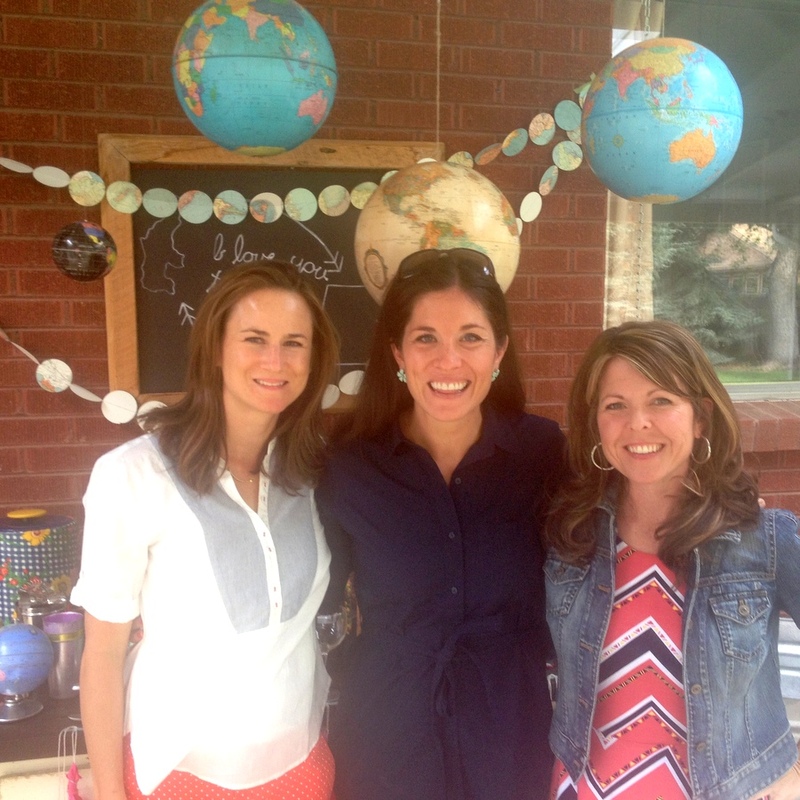 Hey Kirst – so fun seeing you one last time…. 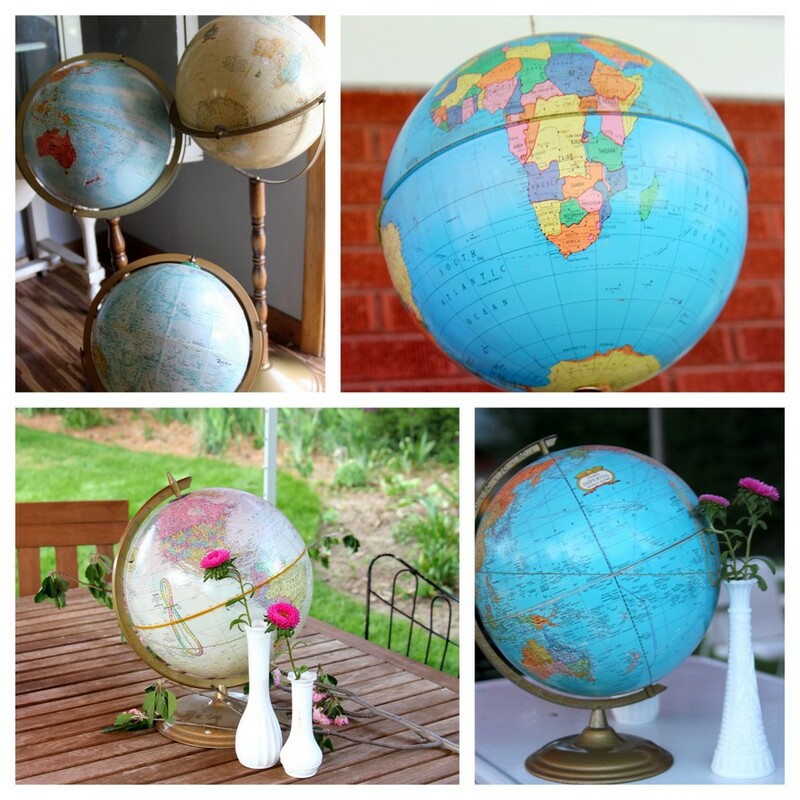 A friend of mine is looking for globes….tried thrift shops but didn’t have much luck. 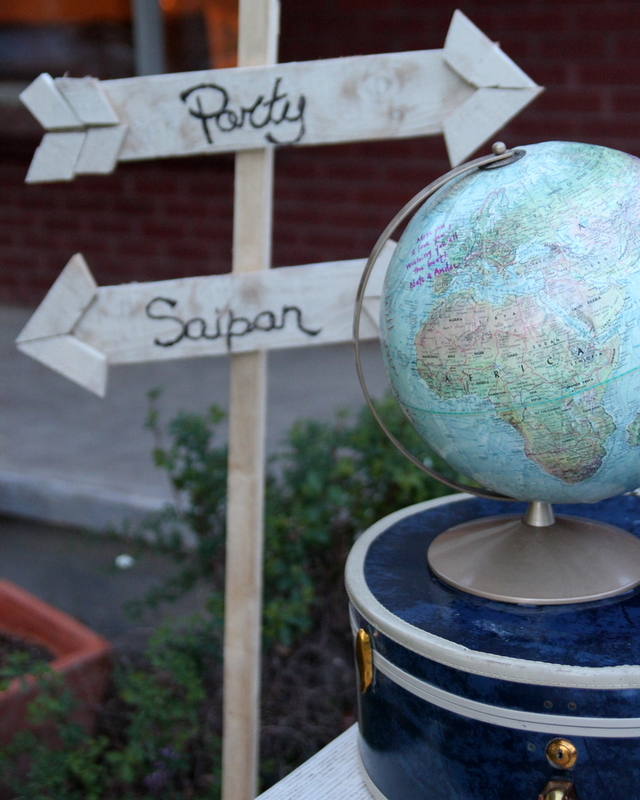 Do you know where your friends got all the globes? Would they be interested in selling some of them? Let me know….and safe travels – I’ll be praying for you guys during that long flight! Thanks Chrissy! 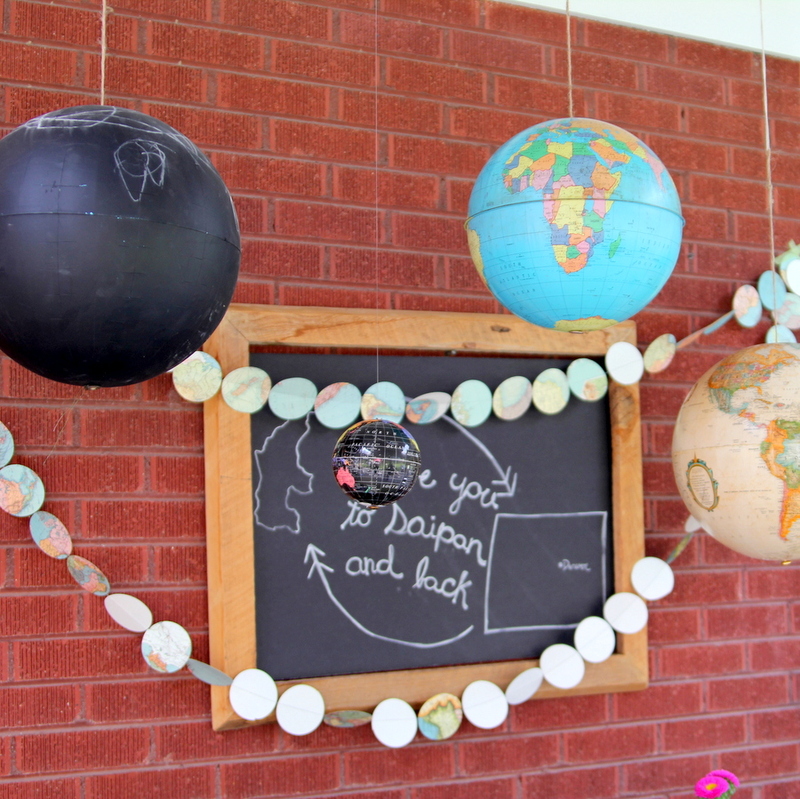 The globes are from thrift stores, etsy, Craigslist and Target… They ARE hard to find, though!